Enzen, founded in 2006, is a global energy & water engineering and business operations consulting company operating in 10 countries for 100+ Energy and Utility Customers. Enzen provides Advisory, Business Architecture, Systems Integration, Engineering Design and Business Transformation services for power, gas and water sectors across the globe. Our drive is to optimise energy and water use through smart application of knowledge. - We strive to make energy and water available for all, the deprived in particular and making it affordable through sustainable models and architecture. - Our Knowledge Practitioners relentlessly work with passion to liberate, augment and protect energy resources from inefficient consumption. - Enzen also advocates and supports corporates, industries and individuals to optimise and enhance their energy management capabilities to deliver energy efficiency. - The role is full time based in London, UK and will report into Enzen's senior solutions architect for the program. The role involves taking end to end accountability for supporting the highly integrated SAP enabled business solutions landscape as part an ongoing multiyear IT Managed Services program for a large utility customer in the UK. - The candidate should have about 14- 16 years of overall relevant experience in the areas of full lifecycle ERP implementation and ongoing support using SAP ECC 6.0 stack based both at client site and offshore. - The role expects hands on practitioner lead approach to solution architecture, high degree of customer engagement/interaction at C level (CIO and Business Directors) on a regular basis. Extensive collaboration with a large delivery partner and group of vendors delivering various IT services with Enzen being the final accountable delivery partner. 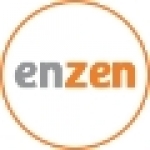 Recruitment Lead at Enzen Global Solutions Pvt. Ltd.